Ride the wind as you soar 60 to 70 meters high. Enjoy the thrill of flying and view the beautiful coast line of Platanias. If you get lucky you could spot a karetta karetta turtle swimming in the blue water beneath you. 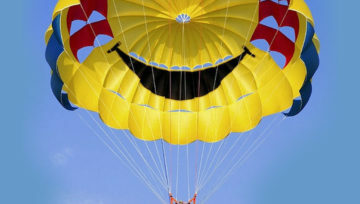 We also have great experience flying disabled people. 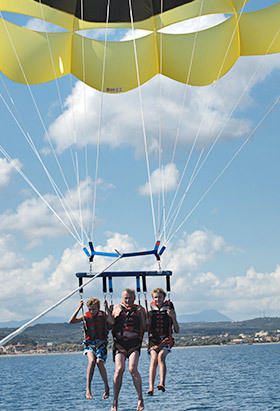 Enjoy the thrill of flying and view the beautiful coast line of Platanias. If you get lucky you could spot a karetta karetta turtle swimming in the blue water beneath you. Fly with the best !